Math and computer science is about more than algorithms. It’s about solving the problems of everyday life. Our Department of Math and Computer Science provides in-demand skills in the mathematics and computer science arenas. Our programs prepare leaders to serve God in ever-changing career fields, as computing technology and the use of mathematics continue to reinvent many areas of life. December 12, 2018 | 3 p.m. The Department of Math and Computer Science prepares students for the challenges and rewards of math and computer science careers. Theoretical and practical courses will teach you how to use mathematics as a daily tool and paradigm for thought. Our students and graduates are known for their preparedness and integrity; employers have told us that our new graduates enter their careers with the skill level of those who've worked in the field for 2 years. If you're interested in teaching in high schools, our B.A. 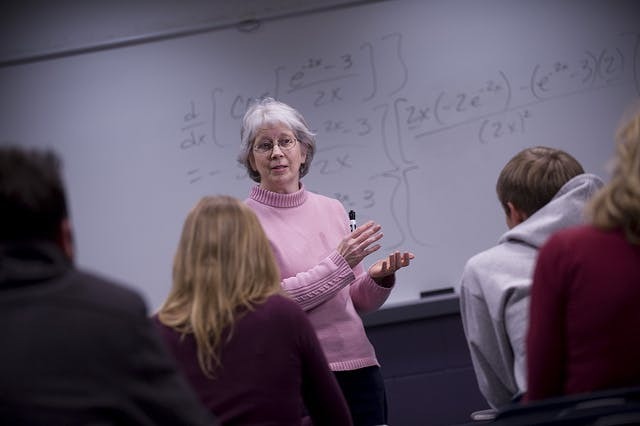 in Mathematics with Secondary Licensure is a full math major with licensure added so that you're prepared more completely and have more career options, including teaching advanced placement courses. Here at Bethel, our math and computer science programs are about taking our faith in Christ and integrating it into everything we learn, into everything we do, so we can accomplish incredible things–in our careers, in our communities, and in our world. Our graduates enjoy very high job placement rates soon after commencement in a variety of fields. Employers look for Bethel grads! 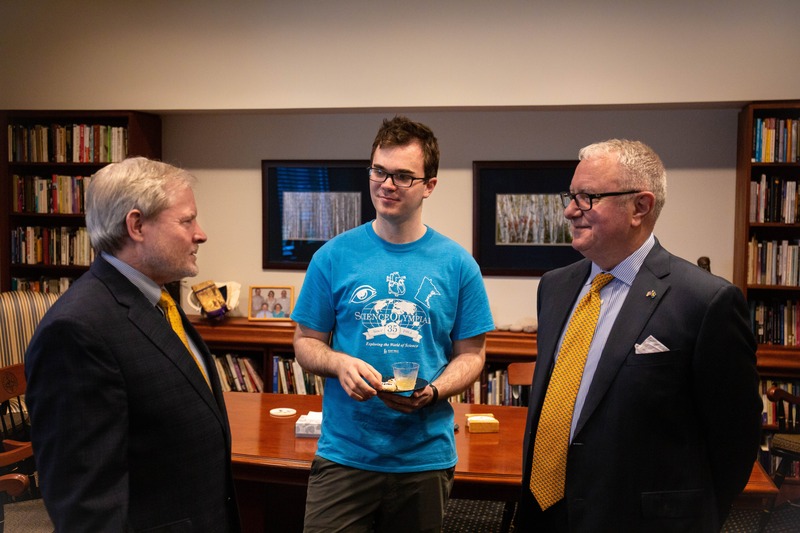 Students and faculty collaborate on funded research projects in growing fields like computer graphics, artificial intelligence, statistics, discrete math, signal processing, and robotics. Students also participate on projects in partnership with local companies. Our students score in the top 10% on nationally normed tests for math and computer science and on exams to license middle and high school math teachers. 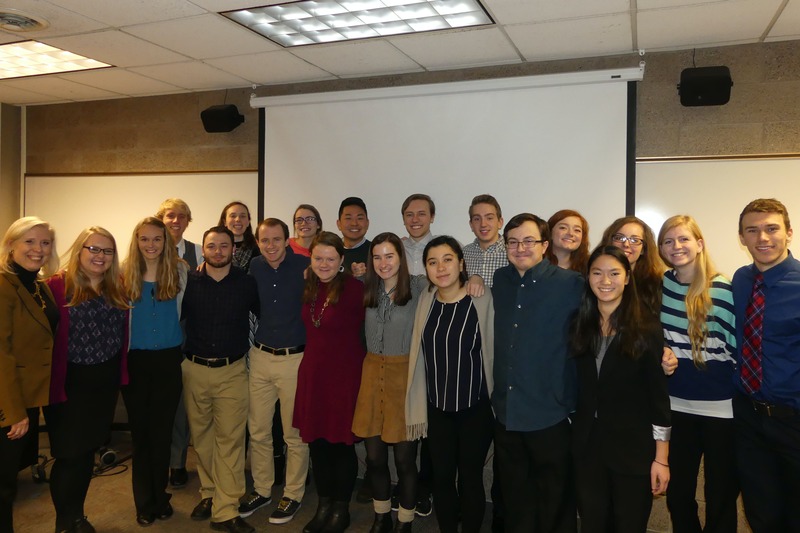 Bethel teams competing in the international Contest in Mathematical Modeling (COMAP MCM) have ranked in the 10 teams with a ranking of "Outstanding Winner" five times since 2001, most recently in 2015 when they competed against 7,636 teams from 17 countries. The team also received the Mathematical Association of America prize for best solution, and the Frank R. Giordano Award for the "paper that demonstrates true excellence in the execution of the modeling process." Bethel's record now surpasses MIT in number of wins. Graduates who go on for advanced degrees report being well-prepared for the rigors of graduate school. We have active student organizations such as Sigma Zeta and the student chapter of the Mathematics Association of America. Math education majors can also choose from a wide range of study-abroad options. We get students out of the classroom to be peer tutors, student graders, or workers in Bethel's own Information Technology Services. Students also participate in Bethel-sponsored service learning programs, including tutoring K-12 students. What can I do with a math or computer science degree? Math and computer science students prepare for graduate programs and professional careers in a number of fields ranging from actuarial science to software engineering. Helpful instructions on math testing for incoming and current students planning to take Precalculus, Calculus 1, or Math for Elementary Education 1.